« B&Bs for Vets 2016-We Want You! Vermont culinary trends are experiencing a renaissance. Imaginative menus with food overflowing with flavor. Regional and seasonal from Vermont’s native bounty. Sophistication with a Vermont feel. Get the Picture? Vermont has historically been known for its dairy farms. Large family owned farms raising cattle, pigs and sheep with a side of potatoes, eggs, maple syrup and apples. The staples of life! Over the years those farms have diminished but many still remain with 3rd, 4th generations of the original families. The cow is still king in Vermont. Think Ben & Jerrys. In fact maybe ‘farm to table’ originated in Vermont. Farm families have always eaten ‘farm to table’, da. Today, the variety and quality of farm fresh food available to Vermont restaurants and country inns is tremendous and exciting. Exciting because some of the old family farms are thriving and new smaller specialty farms are popping up. Wild Water Farm. They farm a variety of greens as well as baking fresh pitas in their wood fired pizza oven. 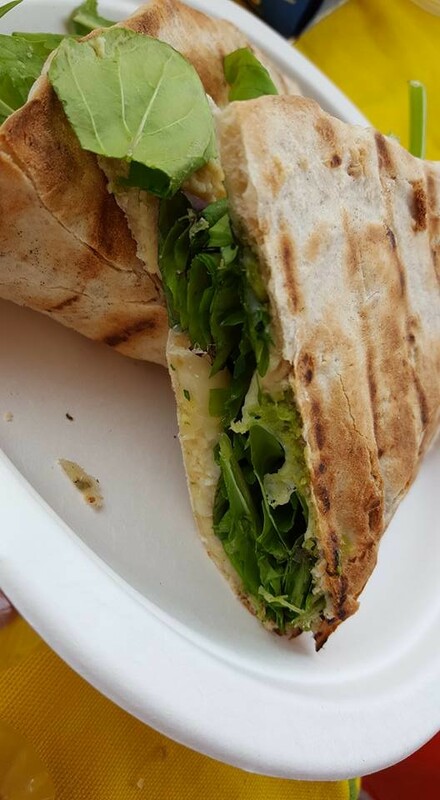 They travel directly to farmers markets with their hot off the grill pitas, stuff them with fresh spicy greens and melted Vermont cheese. It’s what’s for lunch. 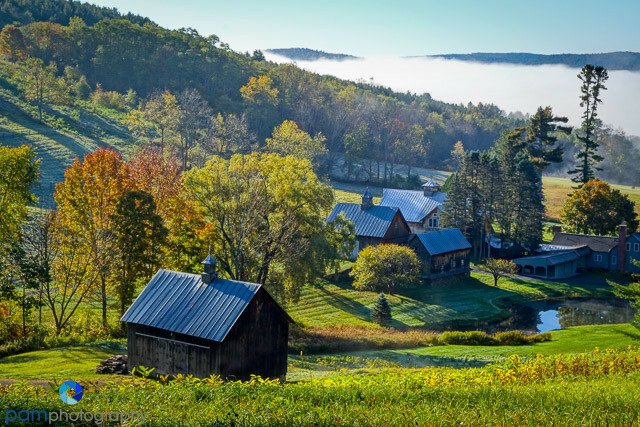 Ever heard of North Pomfret Vermont? Me neither. It is home to Cloudland Farm. One of those thriving family farms. The original 2,000 acre farm purchased by the Emmons family in 1908. Still owned by the same family with added venues to help them thrive in the changing economy. The new…Cloudland Farm Country Market, and a farm-to-table dining establishment added by the current Emmons family. You can take home what they grow and raise or indulge in an innovative farm to table dinner. Good stuff. If you want to ‘go to town’ from North Pomfret you may want to take the road to Quechee. You’ve most likely heard of it? If not, you are about to. On the banks of the Ottauquechee River is the village of Quechee. The village of Quechee is small but has a bustling energetic vibe. Maybe best known as the home of the Simon Pearce Glassblowing realm. Right next door you will find The Parker House Inn & Bistro. 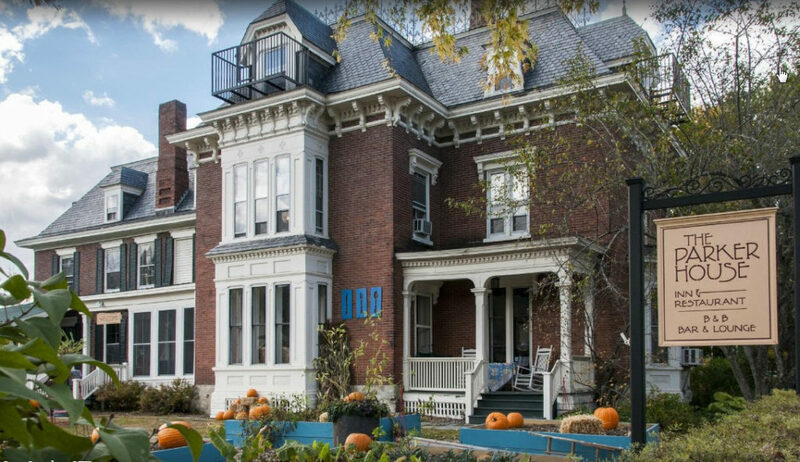 The Inn rules the street with its towering three story mansard roof building. A 1857 National Register Inn. But that is the only thing old about the Parker House. Owner/Chef Alexandra La Noue-Adler creates sophisticated full of flavor fare. 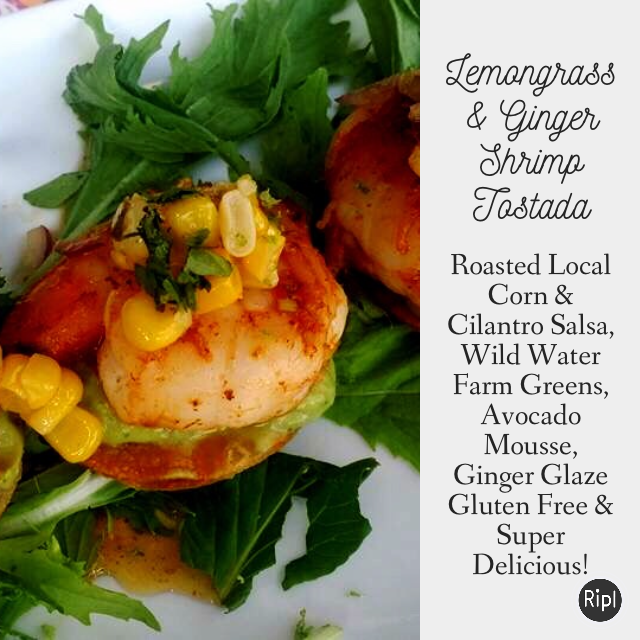 The Lemongrass & Ginger Shrimp Tostada featured in the lead photo is one of Alex’s recent creations. Very imaginative menus using an abundance of regional and seasonal food. Her creations have been described as ‘colorful gutsy and original’. The Vermont culinary renaissance is alive and well at The Parker House Inn & Bistro. Alex with her husband Adam have created imaginative décor as well. The dining rooms, bar and seven guest rooms offer rich colors with eye catching eclectic objects and local art. I have described it as ‘urban meets Vermont country’. The countryside views of the Green Mountains from the deck dining and some of the guest rooms are spectacular. River views, mountain views plus a side yard featuring gardens of flowers, vegetables and herbs. Beautiful! The B&B Team is offering The Parker House Inn & Bistro for sale. Become the next steward of this wonderful food and lodging business. Become a participant in Vermont’s culinary renaissance, bringing your own vision and passions to The Parker House Inn. This entry was posted on Thursday, August 18th, 2016 at 8:30 pm	and is filed under Innkeeping Business. You can follow any responses to this entry through the RSS 2.0 feed. Both comments and pings are currently closed.